From left: Daphne Kwok, AARP vice president of multicultural leadership and AAPI audience; Ryan Kawamoto, Yu-Ai Kai executive director; Edna Kane-Williams, AARP senior vice president of multicultural leadership; Julie Kimiyo Hubbard, AARP AAPI Hero Award recipient. 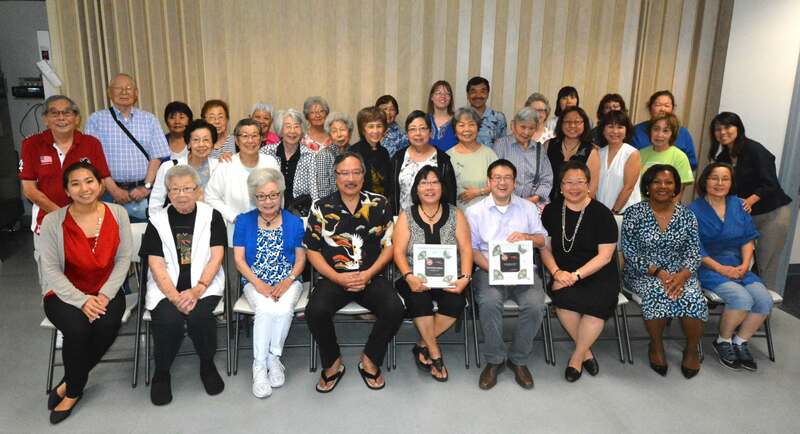 SAN JOSE — Yu-Ai Kai Senior Community Center (YAK), located in San Jose’s Japantown for over 41 years, announces that Julie Kimiyo Hubbard was presented with the AARP’s Asian American Pacific Islander Hero Award on June 21. Chosen as a finalist amongst 77 nominees and then voted as one of the top three vote-getters, she was presented the award by the executive team from Washington D.C.’s AARP Multicultural Leadership Division. In addition to Hubbard winning a $1,000 cash prize, YAK also received a cash prize, and of course, staying true to who she is, Hubbard donated a portion of her prize to YAK. Founded in 1974, Yu-Ai Kai serves 3,000 seniors and their families annually and has two facilities to help the growing senior population in San Jose maintain an independent lifestyle. YAK offers caregiving and bereavement support groups, a nutritious lunch program, senior day services, bilingual case management, and health screenings. She moved west, lived in several places from Venice to Manhattan Beach, and eventually Gardena. She worked at TRW for 16 years and relocated to the Bay Area after meeting her husband. 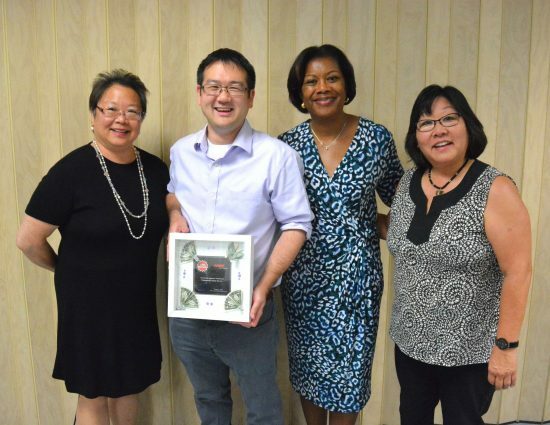 AARP AAPI Hero Award winner Julie Kimiyo Hubbard (front row, center) with Yu-Ai Kai Executive Director Ryan Kawamoto, Daphne Kwok and Edna Kane-Williams of AARP, and Yu-Ai Kai seniors and staff. • Shiao-Lin D. Hui, Chinese Community Center Free Clinic at the Chinese Consolidated Benevolent Association of Chicago. 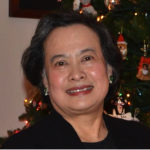 For 15 years, she has dedicated her time and energy to running a free medical clinic every Sunday for seniors and the underserved population in Chicago’s Chinatown. Although the CCBA provided basic medical advice through volunteer medical professionals for the community in the 1990s, it could not provide laboratory services and medications until Hui took charge of expanding its services. 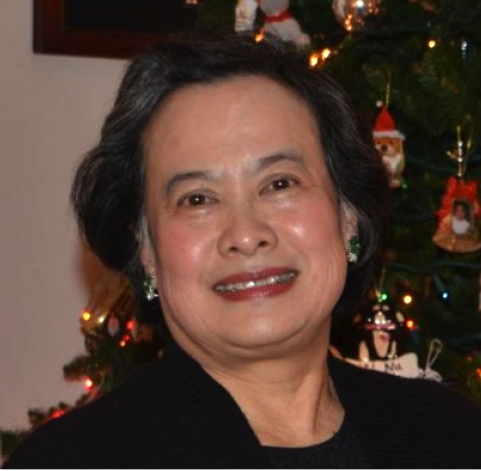 She partnered with the Chicago Mercy Hospital Medical Center to underwrite laboratory services and organized medical practitioners in the Chinese community to establish a clinic to provide free medical care for Chinatown’s seniors. As a nurse practitioner, she also cares for patients directly. Her tireless efforts have helped many seniors who otherwise would not have received acute or preventive care or be screened for cancer, hepatitis, and other diseases. 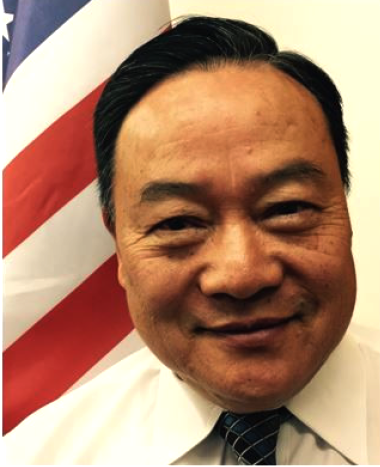 • Dongwoo “Joe” Pak, Korean American Seniors Association of Orange County in Garden Grove. He has been volunteering for the KASAOC since 1999. Established in 1977 to provide leadership for Korean seniors, KASAOC fosters respect for elders, promotes the spirit of mutual assistance, and provides cultural events to enhance cross-cultural understanding among diverse residents of Orange County. Since many of its members are monolingual, it was very difficult to navigate the fixed-route public transportation system run by the Orange County Transit Authority. 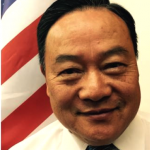 Led by Pak, KASAOC started a Senior Mobility Program with grants from OCTA and the City of Garden Grove in 2003 to help seniors get to markets, hospitals, pharmacies, ESL classes, and U.S. citizenship exam preparation classes. Pak also helps fundraise and garner support for KASAOC from major corporations and organizations, including California’s Office of Aging. Finalists were selected from submissions AARP received from around the country, including California, Connecticut, Florida, Georgia, Hawaii, Illinois, Maryland, Massachusetts, Michigan, Missouri, Nevada, New York, Oregon, Pennsylvania, Rhode Island, Texas, Virginia, Washington, and Washington, D.C. The stellar nominees included executive directors, staff, and volunteers who work in healthcare, social services, education, technology, and the arts. The public visited facebook.com/AARPAAPICommunity to cast their votes during Asian American and Pacific Islander Heritage Month (May).